Four split among me and two other collectors. 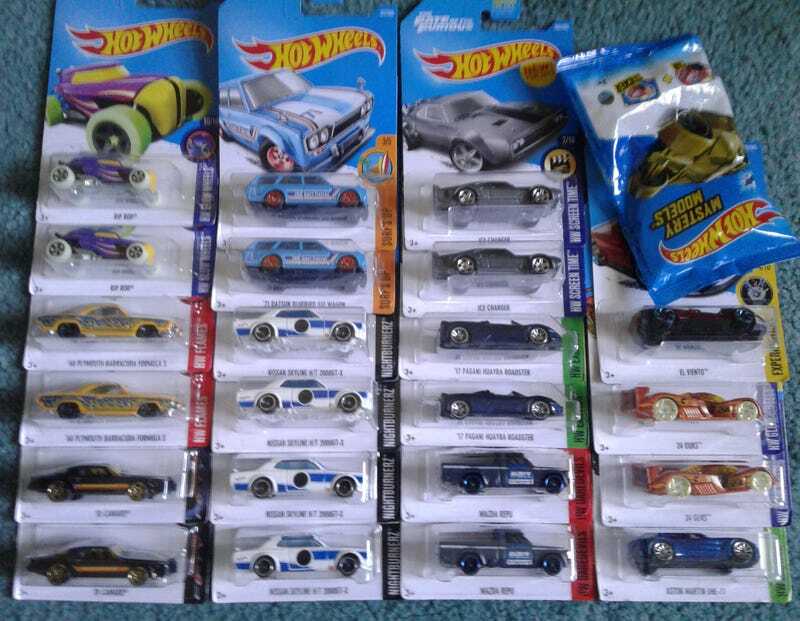 No Super for me, but it was definitely a success. The El Viento on the top left was a Kroger find; it’s missing the window piece. And I found another gold Batmobile at Walmart. More Kyoshos and an M2 Chase!